It's Not Just A Game, It's An Adventure! Looking for something new and interesting to do? Escape Room Louisiana in Lake Charles is a new form of immersive, interactive entertainment. Escape Room Louisiana in Lake Charles is a place where you can experience real adventure and excitement, where you have to use your wits, logic and critical thinking to find your way out. If you think quick and trust your instincts, you just might escape. As you explore your surroundings be prepared to use all of your skills, because you will only have 60 minutes and time is against you! Our rooms are immersive and realistic and will require your team to work together, as you race the clock, solving puzzles, finding clues, and cracking codes that will lead to your escape Who knows? You might be the next Indiana Jones or Lara Croft. We are located in historic Charpentier Disctric in Downtown Lake Charles, Louisiana. We are about bringing a new type of entertainment to the Lake Area that is immersive and interactive. Escape rooms have been big in Europe and Asia for several years, and have only begun spreading to the United States. We not only choose to put our room here in Lake Charles, but we are Lake Charles born and raised. That makes us locally owned and operated. We appreciate your business and strive to bring the highest quality rooms to the Lake Area. Whether you are joining us for a birthday, date night, or just hanging with friends, we thank you. Instead of using a run-of-the-mill icebreaker, why not try something a little outside of the box? 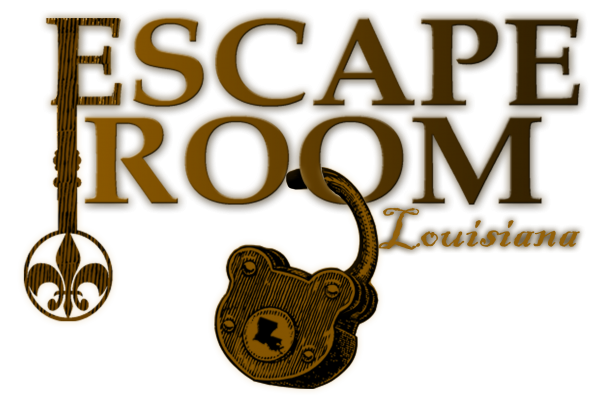 Escape Room Louisiana in Lake Charles, LA can be a challenging and entertaining event for your corporate outing. Your employees will have to use their wits, logic and critical thinking skills to escape, all while having fun and working together. Don't miss out on the benefits your employees can gain from a 60-minute adventure in our escape rooms. Call today to schedule your session. Looking for a Fun Party Idea in Lake Charles, LA? Do you ever wish you could put your Sherlock Holmes skills to the test with a good mystery? Instead of putting yourself in danger in real life, grab a few friends and visit Escape Room Louisiana in Lake Charles, LA. Our escape room adventures are great for parties, date nights or fun group outings. Our rooms are immersive and realistic, giving you and your friends the taste of adventure you've been craving. The Lab, where you're a journalist who has to figure out what is going on at a local biotech company that suddenly went dark. The Ship, where you have to escape from the ship's prison, find your treasure and get off the ship. Contact us now to find out which adventure is right for your party. Copyright © 2019 Escape Room Louisiana, all rights reserved.